We live in an amazing age of technology. Never before have we had so much information available at our fingertips (literally). We have the convenience of cell phones, laptops, video phones, instant messaging, texting, iPhones, email and more. If you ever have a question about anything you can Google it, and if you want to keep in touch just Twitter or get on Facebook. All of these things are wonderful and connect people like never before. They give us access to more information in two seconds than a person in the 16th Century was exposed to in their entire life. With all the influx of technology, I sometimes wonder if we’re losing some of the essentials. 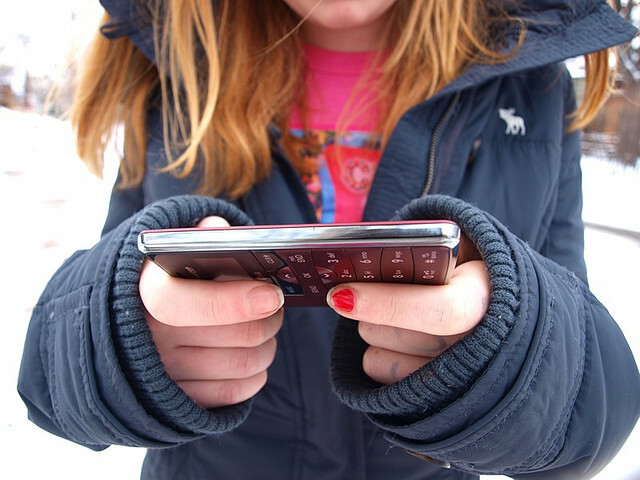 A 13-year-old girl won $25,000 from a texting competition (she averages over 8,000 texts per month to friends and family), but 37% of fourth graders are below a ‘basic’ reading level. Speaking of fourth graders, many states, like California, use fourth grade literacy rates to estimate how many prison cells they need to build for future inmates. There is a direct link between illiteracy and crime. The average American reads less than one book per year, and 55% of Americans do not read a non-fiction book after high school. Money spent on books, adjusted for inflation, dropped 14 percent from 1985 to 2005 and has fallen dramatically since the mid-1990s. Is it any wonder that literacy is on the decline, with Americans spending more on fast food than books and education combined. Over 1.9 Billion dollars is spent on Halloween candy each year, and over $2 billion on chewing gum. Well, the economy is not good right now, we can’t afford to buy books. Consider for a moment how much you spend on ‘necessary’ expenses like cell phones, internet, cable, Direct TV, movies, video games and more. Americans easily spend hundreds per month on these expenses. While there is nothing inherently wrong with this, ask yourself, to you have a budgeted amount for books? Brian Tracy said that you can tell a person’s values by their actions. If you believe reading is important, and you want your children to reap the full benefits of life-long learning, are your actions (and more specifically your spending) conveying that message to your children? If you spend your money every month so that there’s nothing left over for books, then your actions say that books really aren’t that important to you. Fourth-graders who reported daily reading for fun scored higher on the NAEP reading test than peers who reported less reading for fun (NCES, 2001b). Children who score at the 90th percentile on a reading test spent five times as many minutes per day reading books as children at the 50th percentile (Anderson, Wilson & Fielding, 1988). So what determines whether you raise a reader or a texter? Families play an important role in their children’s reading success. Studies of individual families show that what they do to support literacy in the home is more important to student success than family income or education (Ballen & Moles, 1994). When adults interact with young children — talking, singing and playing rhyming games — they stimulate language and vocabulary development and build important foundations for learning to read (Hart & Risley, 1995). Reading to preschoolers is the most important thing families can do to prepare them for reading (Adams, 1990). Reading aloud to infants stimulates their brains to create new learning pathways and strengthen existing ones (Shore, 1997). Decide to make a love of reading your most important educational goal for your children. Children who love to read will excel at whatever they do. Show your children you value reading by letting them see you do it. Have a wide variety of books on hand, as well as newspapers, comics, magazines, etc. Build a home library for you and your children. Find books that your children like- an interest in the subject is the first step to pleasure in reading. This entry was posted on October 14, 2009 by racheldenning. It was filed under Benefits, How To, Techniques and was tagged with children reading statistics, get children reading, illiteracy, literacy, love reading, read-aloud, reading, texting. We’re “investing” over $800K this year so that families will raise readers. Thanks for the post! Finally had a few extra minutes to look over your posts. You are awesome and have so much passion for literacy. I do as well. I love all your ideas for increasing the level of love for reading in a family. I will for sure use some of your ideas.